Wacher, John. Pleasures Without Change. Drainage, Specialty Conference On Advances In Irrigation and. Proceedings of the Specialty Conference on Advances in Irrigation and Drainage: Surviving External Pressures. Pimlott, Douglas H. The Preservation of Natural Areas in Ontario. From Cache Lake Country to Wilderness Bill Of Rights, from	National Geographic Magazine to Choosing and Working With a Conservator, we can help you find the conservation books you are looking for. As the world's largest independent marketplace for new, used and rare books, you always get the best in service and value when you buy from Biblio.com, and all of your purchases are backed by our return guarantee. 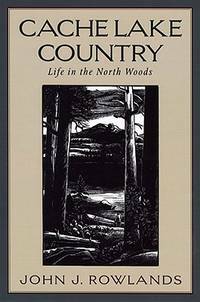 A record of life in the great North Woods, which provides nature lovers with an abundance of information on woodcraft and the outdoors. Encounters with the Archdruid (1971) is a narrative nonfiction book by author John McPhee. Encounters is split into three parts, each covering environmentalist David Brower's confrontations with his ideological enemies. The book chronicles his struggles against miners, developers and finally the United States Bureau of Reclamation. McPhee blurs traditional journalism&mdash;the reporting of facts and accounting of events, with thematic elements more common to fiction. London: Rider, 1991. Book. Good. Paperback. First Thus. 235mm Tall, 8vo. The first major collection of New Age writing. With contributions from over fifty authors. A little creased and worn around edges..
Vernon, British Columbia: Kalamalka Press., 2006 First printing in trade paperback. 126 pp. Notes, bibliography. Small corner curls to covers, bump to top rear. Very Good.. 1st Edition. Trade Paperback. Very Good. LR2-1. Ygeneral: The Mount Washington Observatory, 1999. 149 pgs., Illustrated.. First Edition. Soft Cover. Very Good. Illus. by Paul M. Breeden. 4to - over 9¾" - 12" tall. Ottawa. : National Museum of Canada., 1979.. First edition. . Hardcover. . Fine copy (owner inscription on title page) in near fine (very light shelf wear) dust jacket (in mylar).. 4to.. Illustrated in black, white and color. . Photograph of OUR copy available upon request. London: O. Newmann & Co, 1892. Book. Good. Hardcover. New Edition. 185mm Tall, 12mo. Illustrated with 6 coloured plates, two by A. F. Lydon but no name on the other 4, and by wood engravings. Index. Glossary. 166 pages. Top edge of title page has been removed. Some wear to cover corners. Previous owner's signature on front free endpaper. Wear to top and tail of spine.. ., .. .. Hardback. English. Howard Timmins. 1970. In good condition. Dust jacket has a little bit of wear. .
London: Hutchinson, 1977. Book. Illus. by Ann Thomson. Very Good. Hardcover. First Edition. 240mm Tall; 8vo. A comprehensive and detailed survey of the alien vertebrate fauna of the British Isles. 600 pages. Index. Sea green cloth covers. Gilt title on spine. Tears to front of dust jacket with small piece repaired, small tears on back top edge. Some soiling to page edges..
London: Blandford Press, 1970. Book. Very Good. Hardcover. Edition Not Stated.. 220mm Tall, 8vo. 96 pages. Index. Numerous illustrations and diagrams..
London: Sylvan Press, 1111. Book. Illus. by James Lucas. Good. Hardcover. 1st Edition. 255mm Tall, 4to. Countryside essays, with very nice scraperboard illustrations. Wear to top and base of spine plus edges and a little on cover corners..
London: Europa Publications, 1971. Ex-Library. Good. Hardcover. First Edition. 240mm Tall; 8vo. Olive green cloth covers. Library labels; library stamp on page edges. General wear to dust jacket, library numbers at base of spine..
London: Peter Davies, 1937. Book. Fair. Hardcover. 1st Edition. 200mm Tall, 8vo. With Bibliography. Eight photographs. Various cup and other marks on covers. Wear and small tears at top of spine, less so at base. Page edges slightly browned..
London: John Murray, 1916. Book. Good. Soft cover. Third Edition. 185mm Tall, 12mo. An itch inducing little book still very relevant today, what with the resurgence of bed-bugs, ticks and all. 186 pages. Index. 63 illustrations. Covers very stained and worn. No free endpapers. Foxing on half-title and title page. Two names at top of half-title page..
Amer Society Of Civil Engineers. Very Good +. Urbana, Chicago, London: University of Illinois Press, 1970. Book. Very Good. Hardcover. Edition Not Stated.. 240mm Tall; 8vo. A collection of Banister's works and his place in the study of the natural history of the Atlantic coastline. With Index of Latin Names of Plants and Animals; General Index. Dust jacket has marks and general soiling on front and back..
London and Glasgow: Blackie & Son Limited, 1934. Book. Illus. by Clifford Webb. Very Good. Hardcover. Edition Not Stated.. Dust jacket soiled and with tear at top front..
London: Lutterworth Press, 1950. Book. Very Good. Hardcover. First Edition. 220mm Tall, 8vo. Observations on nature. Index. Very nice small engravings. Wear to top/tail of spine and a little on cover corners. Signature on front pastedown..
London: Robert Hale, 1952. Book. Very Good. Hardcover. First Edition. 225mm Tall, 8vo. Fascinating curiosities of bird, animal and plant life are part of the wealth of anecdotes and reflections in Surrey Naturalist. With 33 illustrations. 301pp. Index. Wear and small tears to edges of dust jacket. Foxing on page edges. Ex libris label on half-title page. Browning to endpapers..
Don Mills: No Date (ca. 1965). : Federation of Ontario Naturalists. Stapled paper covers. Reprinted from the Ontario Naturalist. 19 pp. Photographs. Pen underlining, vertical crease. Good.. Stapled Pamphlet. Good. Box 7. London: Frederick Warne and Co, 1969. Book. Good. Hardcover. Edition Not Stated.. 24mo - over 5" - 5¾" tall. Name of previous owner on front pastedown, title page, preface and contents page. Shelfwear to dust jacket, with creases at base of front. .Fading of title on spine of dust jacket..
London: The Bodley Head, 1947. Book. Illus. by Author. Good. Hardcover. Edition Not Stated.. 190mm Tall, 12mo. 'If you read this book' says Miss Eleanour Sinclair Rohde in her Preface, ' you will find it helps you in a surprisingly simple way to see what you may have imagined only learned botanists can see. It shows you what to look at, and explains what you are seeing.' 176 pages. Index of Flower Names. Green cloth covers, gilt title on front cover and spine. Dust jacket split down spine and missing spine but held together by clear plastic cover..
London: The Society, 1975. Book. Near Fine. Soft cover. First Edition. 250mm Tall, 4to. 65 pages. Light creasing at spine..
London: Country Life Ltd, 1946. Book. Good. Hardcover. Edition Not Stated.. 220mm Tall, 8vo. 93 pages. Index. Blue cloth covers, black title on front cover and spine. Wear to cover corners, top/tail of spine and joints of spine..
London: William Kimber, 1963. Book. Very Good. Hardcover. First Edition. 240mm Tall; 8vo. The story of a seal, saved by the author as a cub when near death, and how it recovered and came to understand a wide range of spoken words. The story of the saving of a baby seal. Dust jacket with a little wear to top/tail of spine and edges, some writing at top edge on the back. Greystone Books. Fine in Fine dust jacket. 2006. First Edition. Hardcover. 1553651561 . HC/DJ - fine condition. Signed/inscribed by the author on title page: "Thanks for your support - David Suzuki". Hardcover is clean and tight, with no markings. Jacket is excellent, with slight scuffing and a small amount of edge crinkling. ; 8vo 8" - 9" tall; 400 pages; The first volume of David Suzukis autobiography, Metamorphosis, looked back at his life from 1986, when he was 50. In this eagerly awaited second installment, Suzuki, now 70, reflects on his entire life, and on his hopes for the future. The book begins with his life-changing encounters with racism while interned in a Canadian concentration camp during World War II and continues through his troubled teenage years and later successes as a scientist and host of PBSs The Nature of Things. With characteristic candor and passion, he describes his growing consciousness of the natural world and humankinds precarious place in it; his travels throughout the world and his meetings with international leaders, from Nelson Mandela to the Dalai Lama; and the abiding role of nature and family in his life. David Suzuki The Autobiography is an intimate and inspiring look at one of the most uncompromising people on the planet. ; Signed by Author .